Aberdeen, N.J. – This morning, a state trooper carried a Mount Laurel, N.J. woman to safety after her SUV caught fire as a result of a motor vehicle accident on the Garden State Parkway. 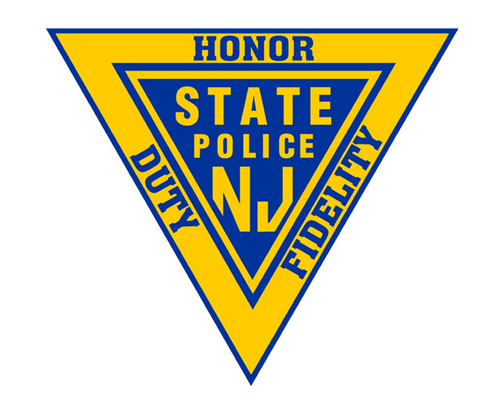 At approximately 7:06 a.m., Trooper Jan Czech was detailed to a three car motor vehicle accident on the express lanes near mile post 120.4, on the northbound side. As Trooper Czech arrived, he observed a female on the ground near a 2011 black Cadillac SRX SUV. The vehicle then caught fire, and Trooper Czech carried Dawn Lucas, 48, approximately 50 feet to a safe location. The Aberdeen fire department extinguished the fire. Lucas was evaluated at the scene and transported to Bayshore Hospital, Holmdel, N.J., with non-life threatening injuries to her leg. The accident remains under investigation. At the scene, troopers were made aware that jewelry with sentimental value was left in the vehicle. Trooper Walter Burgess was able to locate the jewelry in the burned vehicle and return the items to Lucas.